The refreshing and eye catching design of the bike show off the sophistication and elegancy very well. The simple, neat and clean cut edge of the cruiser has the power to impress every costumer. The single seat with trendy handle bars, captivating design of the exhaust pipe, uncomplicated but extraordinary structure of the headlight speaks about its well crafted style. The matter is not over with its looks has it is also appreciated for its powerful motor and advanced technology. Victory Vegas 8-Ball is equipped with efficient Freedom V-Twin engine with 4 stroke, 4 valve, hydraulic lifters and self adjusting cam chains. The electronic fuel injection used is other major plus point as it increases the competence of the motor. The maximum power generated from this is about 97 Bhp and the highest torque achieved is 153 Nm. Power so produced reaches the wheels through 6-speed overdrive constant mesh transmission. 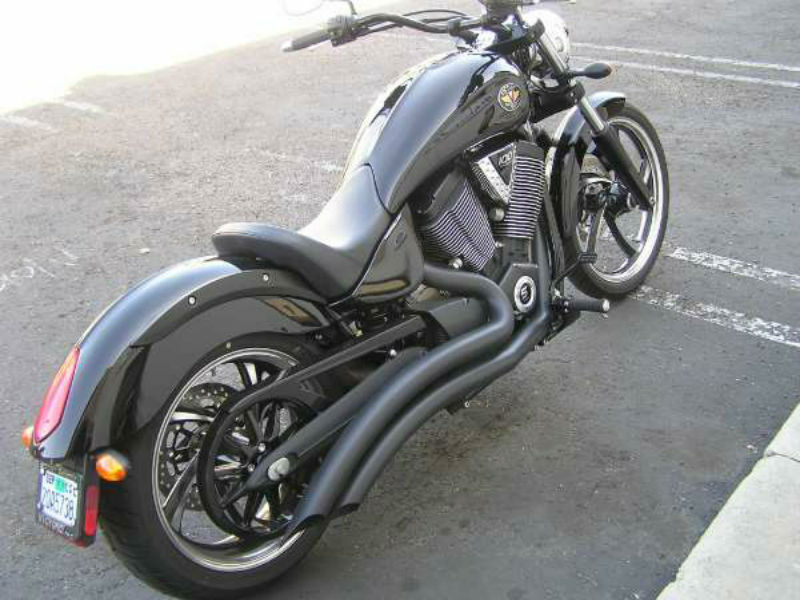 Vegas 8-Ball is more than just a bike and the reason behind it is its classic styling. 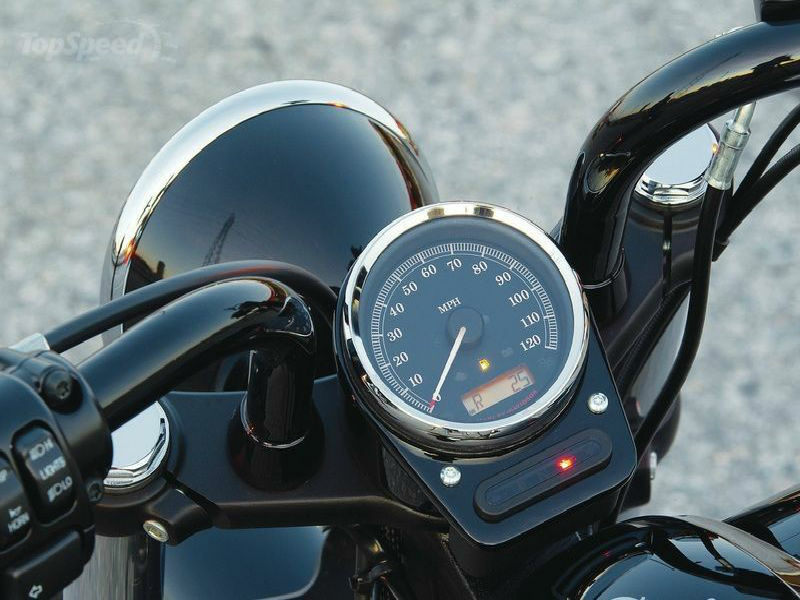 The lower, solo seat with the pulled back handlebars not only serves as an interesting feature but also provide more comfort to the rider thereby allowing him to mastery over the motorbike. The black finishing of the exhaust pipe and trendy design of the headlamp serves as other promising factors as many consider black as the king's color. Not to be missed out the black stingray wheels adds a customized look to it. Riding the cool and trendy motorbike Vega 8-ball is an amazing experience. Power packed with some of the efficient technology, the drive becomes more easy and comfortable. The quality suspension of the motorbike including the front Inverted cartridge telescopic fork and rear single, mono-tube gas makes rider to feel that every road is a way to heaven. Further the floating rotor brakes used on wheels provide quick control of bike. 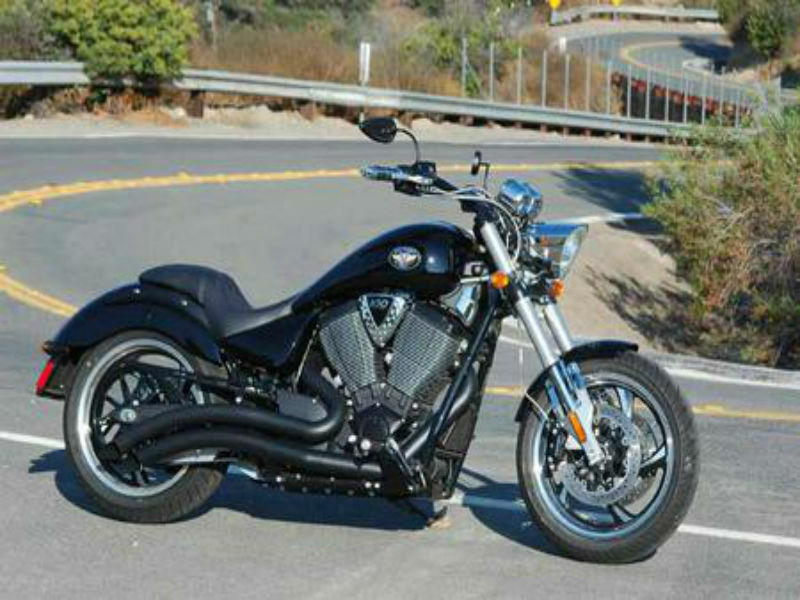 Victory Vegas 8-Ball is said to give a descent mileage but not much is known about it. The stylish vehicle which is available in by the middle of 2013 is available in glass black and the ex-showroom price of it is close to Rs. 14,00,000.